Cary L. Cooper is 50th Anniversary Professor of Organizational Psychology and Health at Manchester Business School. He is the author/editor of over 160 books (on occupational stress, women at work and industrial and organizational psychology), and over 100 chapters in books. He has written over 400 scholarly articles for academic journals, and is a frequent contributor to national newspapers, TV and radio. He is currently Founding Editor of the Journal of Organizational Behavior, former Editor-in-Chief of the medical journal Stress & Health and Co-editor of the Journal of Organizational Effectiveness. He is a Fellow of the British Psychological Society, The Royal Society of Arts, The Royal Society of Medicine, The Royal Society of Public Health, The British Academy of Management and an Academician of the Academy of Social Sciences. Professor Cooper is President of the British Academy of Management, is a Companion of the Chartered Management Institute and one of the first UK based Fellows of the (American) Academy of Management (having also won the 1998 Distinguished Service Award for his contribution to management science from the Academy of Management). In 2001, Cary was awarded a CBE in the Queen’s Birthday Honours List for his contribution to occupational safety and health. In 2014 he was honoured with a Knighthood for his services to Social Sciences. He holds Honorary Doctorates from Aston University (DSc), Heriot-Watt University (DLitt), Middlesex University (Doc. Univ) and Wolverhampton University (DBA); an Honorary Fellowship of the Faculty of Occupational Medicine in 2005, was awarded an Honorary Fellowship of the Royal College of Physicians (Hon FRCP) in 2006, in 2007 a Life Time Achievement Award from the Division of Occupational Psychology of the British Psychological Society, in 2008 an Honorary Fellowship of the Royal College of Physicians of Ireland (College of Occupational Medicine), in 2010 awarded an Honorary Fellowship of the European Academy of Occupational Health Psychology, an Honorary Fellowship of the British Psychological Society, and in January 2011 he received an Honorary Doctorate (D.Sc.) from Sheffield University. Professor Cooper is Chair of the UK’s Academy of Social Sciences (an umbrella body of 46 learned societies in the social sciences, 88,000 social scientists) (2009-), as well as past Chair of the Chronic Disease and Wellbeing Global Agenda Council of the World Economic Forum in Geneva (2009-2010). In November 2010, he was awarded the prestigious Lord Dearing Lifetime Achievement Award by the Times Higher Education for his distinguished contribution to higher education. Professor Cooper is the Editor-in-Chief of the international scholarly Blackwell Encyclopedia of Management (13 Volume set), the Editor of Who’s Who in the Management Sciences and on the Editorial Boards of many scholarly journals. He has been an adviser to two UN agencies; the World Health Organisation and the ILO; published a major report for the EU’s European Foundation for the Improvement of Living and Work Conditions on `Stress Prevention in the Workplace’, produced a scientific review for the WHO/ILO on workplace violence in the health sector internationally, and was a special adviser to the Defense Committee of the House of Commons on their Duty of Care enquiry (2004-05). Professor Cooper is former Chair of The Sunningdale Institute (a think tank on management/organizational issues) in the National School of Government (2004-2009). 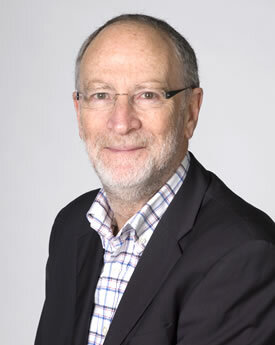 He was also the lead scientist to the UK Government Office for Science on their Foresight programme on Mental Capital and Well Being (2007-2008), and was appointed a member of the expert group on establishing guidance for the National Institute for Health and Clinical Excellence on ‘promoting mental wellbeing through productive and healthy working conditions’, 2009. Professor Cooper is also the President of the Institute of Welfare, former President of the British Association of Counselling and Psychotherapy, President of RELATE, a national Ambassador of The Samaritans, and a Patron of the Anxiety UK. HR Magazine named him the 1st Most Influential Thinker in HR in 2014. Hargrove, M.B., Nelson, D.L., Cooper, C. 01/2013 In: Organizational Dynamics. 42, 1, p. 61 - 70. 9 p.
Gilboa, S., Shirom, A., Fried, Y., Cooper, C.L. 2008 In: Personnel Psychology. 61, 2, p. 227-271. 45 p.
Fried, Y., Shirom, A., Gilboa, S., Cooper, C.L. 2008 In: International Journal of Stress Management. 15, 4, p. 305-328. 24 p.
Beddington, J., Cooper, C.L., Field, J., Goswami, U. 2008 In: Nature. 455, 23, p. 1057-1060. 4 p.
Lapierre, L.M., Spector, P.E., Allen, T.D., Poelmans, S., Cooper, C.L., O'Driscoll, M., Sanchez, J.I., Brough, P., Kinnunen, U. 2008 In: Journal of Vocational Behavior. 73, 1, p. 92-106. 15 p.
"Why so Stressed? How to be Happy at Work"